The US economy added more jobs in August than the previous month according to the latest figures. The monthly employment report from data processing firm ADP showed that private businesses hired a total of 190,000 new employees during August – up from 177,000 a month earlier. While missing the forecast by 11,000 the data was enough to sure up the dollar as it confirmed that the US economy is still in hiring mode. The report also showed growth across all major sectors of the economy. Adding to the bullish theme, productivity rose sharply to 3.3 percent versus an expectation of 2.2 percent. This was the strongest reading in 18 months. The US dollar was up against the yen, the euro and the Canadian. The greenback edged down against the UK Pound which was oversold following steep declines yesterday. 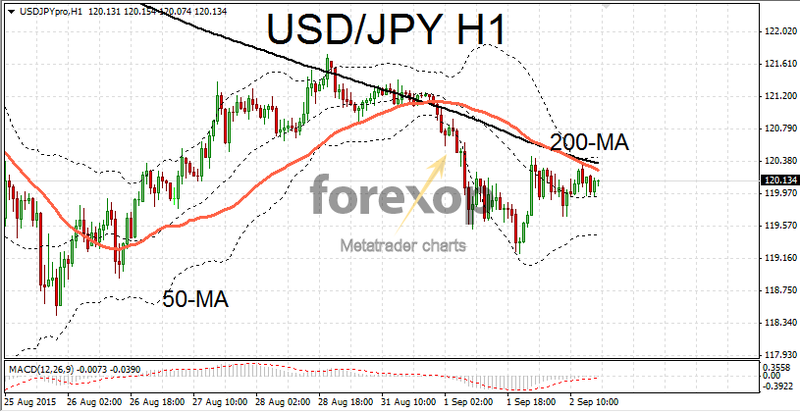 USD/JPY recovered to move back into the 120 area. Five days of yen rises had pushed the pair down from 125.27. With the VIX declining substantially today, risk concerns moved to the back foot and the yen correspondingly lost some support. EUR/USD remains depressed at the lower timeframes. Yesterday’s strong rally failed to carry through and the pair was consolidating around the mid 1.12 area for much of the session. 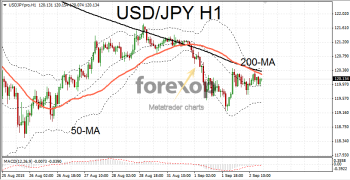 However both the euro and the US dollar are trading cautiously ahead of key announcements towards the end of the week. Tomorrow will see the release of the ECB’s monetary policy statement and interest rate decision. No change is expected however the event creates some degree of uncertainty. The official nonfarm payrolls report is due on Friday. Today’s report from ADP has reduced the element of fear as it suggests a very poor number on Friday is unlikely. The link between ADP and the government’s data is not perfect by any measure. But they do tend to move roughly in tandem. The official nonfarm payroll report, which is more comprehensive and includes government hiring, is expected to show that 220,000 jobs were added in August. A separate report showed a factory orders remained weak in July. Orders increased by just 0.4 percent over the month, falling from 2.2 percent in June. The small gain was due to a rise in orders for motor vehicles.